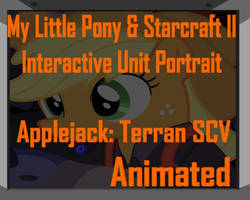 Looks like Aperture Science has started the field testing of their commercial ASHPD and Derpy decided that she would like to use it! Well... Not in ways that people often expect though, but Cave Johnson says that the way she uses the ASHPD intrigues him, he is willing to pay Derpy 60 Bits for testing it. 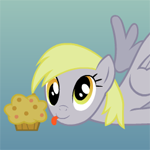 By the Way, I personally think that Derpy is actually a genius behind all the goofiness Einstein much? Speaking of which, Feedback and/or critique is most welcome. And please don't hold back, if you think I deserve some scolding and constructive criticism, go hard on me. Once again, a very good animation in need of just a little polish. I'm really enjoying these, and I think you're doing an excellent job of portraying the characters involved. So what would I consider changing? 1. Just before Twilight arrives you zoom back a bit. During that zoom, the portal on the ground moves. 2. After Twilight falls in, her back-line looks a little off. Usually pony-backs are a smooth line without any bumps, but there is an offset just ahead of the hip. 3. 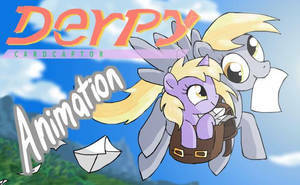 When Derpy gets smacked by the rebounding mailbox, a little visual emphasis (a splash of light or puff of dust) at the point of impact would be good "punctuation" to emphasize the impact. 4. Chekov's Gun, literally! 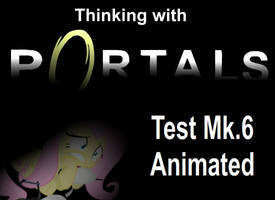 Derpy left behind her portal gun, and there's an expectation that it will be used as part of what follows. 5. A slightly longer fade-out after Twilight falls through would be good. It feels a little rushed as things are right now. Keep doing these! I think they're great. 196 out of 202 deviants thought this was fair. 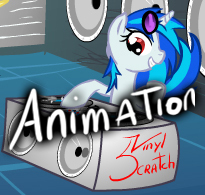 I'd like to start off by saying you've made a lot of improvements with this animation. The movements of the characters were a lot more natural and fluid. 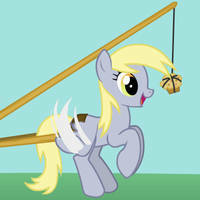 I applaud your ability to create a convincing walk cycle for a pony on crutches! 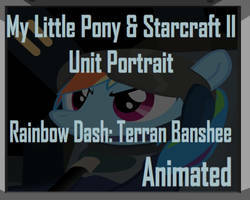 One area you might want to work on is the connection between the different parts of the pony (I think they're called symbols? 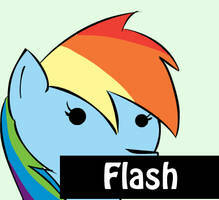 I haven't really used Flash), especially with the connection between the rump and the back of the rear legs. 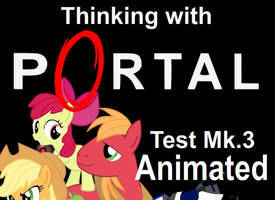 As you continue to improve you should strive for a constantly smooth outline for all parts of the pony. For starters, I think the composition of the background could be improved. Even as I watch it now I'm still not quite sure what I'm looking at. If you look at the buildings on the right, our brain would like us to think that they'd continue past the tree on the left, but they don't. Right now the sky looks like a purple cutout hanging in front of the tree and buildings. The buildings could use some work. The outlines on the roof are unnecessary, if you look at examples from the show they're simply connected areas of light and shadow. This helps give them the soft appearance of being made of hay (or whatever it is roofs are made of). The panes on some of the windows are crooked as well. The area near the bottom right (with the door) could definitely be improved. The window on the door is off-center, and the pink-magenta piece doesn't seem to serve an architectural purpose (it just kind of stops halfway up the building). The same piece doesn't quite reach all the way up the building or down the to the bushes, leading to some areas where the wall bleeds through. The area near the door is a very very dark shade of yellow, far too dark for any kind of shadow one would expect. If it's not a shadow, it still clashes with the rest of the building. Especially noticeable after the zoom-out is that the building doesn't really seem to fit one perspective. The way the roof curves above the door seems to defy the laws of reality. The same can be said for the corner that connects the two parts of the building together. I get the feeling that the bushes and tree were strategically placed where you weren't sure how to draw the buildings. I think you're cheating yourself if you're doing this. As my choir teacher tells me, it's best to sing out and hit a wrong note than to not sing at all, because then you can learn from it. In any case, I just don't think the tree fits in very well with the scene. The building on the left (after the "camera" zooms out) frankly looks very hastily made. The colors clash with the rest of the set and the whole thing lacks polish. The sprig of grass near the post of the mail box doesn't connect well with the rest of the grass. I think it'd probably look just fine for both to be the same color. The post itself has a tendency to poke out from under the grass (it's also not entirely connected to the mailbox in some positions). 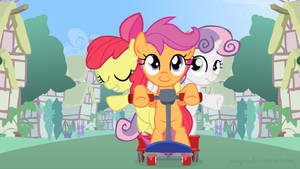 If you're going to emulate the style of the show, you should really try to emulate the show's clouds too. The clouds in your animation are literally two shapes with some gradients. The magical glow of Twilight's horn is white-tipped for some reason. The outlines on Twilight's body have inconsistent thickness and color. 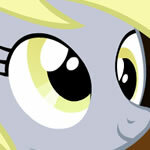 The edge of Derpy's ear (where it should connect to her head) occasionally overlaps her mane. 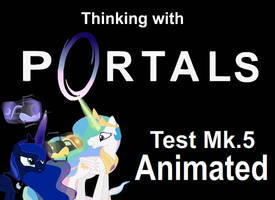 You and I both know that portals aren't black. Anyone familiar with the game would expect to see the inside of the mail box. The slot at the front should let in enough light for the inside not to be pitch black. The other thing is that neither the blue portal nor the ASHPD should've been able to fit inside the box, and the ASHPD itself appears to disappear entirely after Derpy leaves. You were very ambitious with this animation, but in the end I think you bit off a lot more than you could chew and released it before it was really ready. It's clear to me that your forte is in animating the characters themselves, and to your credit you continue to get better and better at doing it! I think that before you release another cartoon you should take some time to practice drawing the backgrounds themselves. 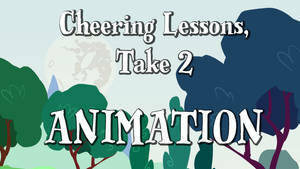 The background sets the tone of the whole animation, and designing one is an art of its own. Animation studios routinely hire artists solely for this purpose! Really take some time to study the buildings and backgrounds used in the show. And when designing backgrounds, remember to keep perspective consistent, color/shadow realistic, style consistent throughout, and the layout balanced. 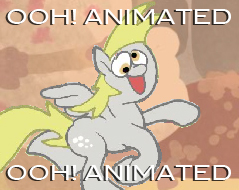 Again, I'm not trying to say you're a bad animator. I honestly believe that you just tried to get too much done too quickly. If you take your time with your next cartoon, I'm sure it will be great! I look forward to it! 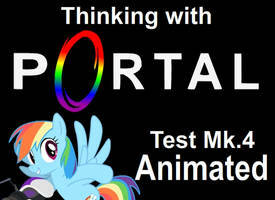 Animators make test animations all the time without backgrounds. It's perfectly reasonable to release a character animation that takes place on a white background. As you may remember, Disney had a hugely successful ad campaign for WALL-E that featured him interacting with objects in a giant white room [link] . Animations like this really allow a character's personality to shine! 64 out of 128 deviants thought this was fair. Holy crap, it's been a while since I've heard Plants VS Zombies soundtracks. Amazing job on the animation! Whats with the Plants vs Zombies music? Twilight Sparkle has took the easy way out. i thought she would put one portal in a muffin factory and the other over her mouthe so she could eat ALL the muffins being produced. Hooray for Plants vs Zombies music! Awesome! Plants vs. Zombies, classic. 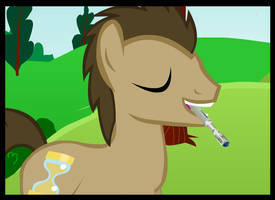 Anypony know how to get Mustache Mode? I know you turned off critique's, and don't want to hear anything like that, but I really want to. Well, I really loved it. 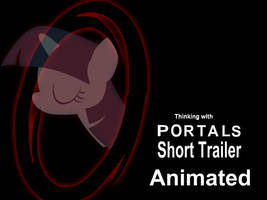 It was funny and fit the character very well as she took the " easy-way-out" and used a portal gun. That was cute, and funny to me. Making that a "thing" with bubbles is very possible. The only thing I was a little concerned about was the choice of background music. It really didn't fit in my point of view. Impact: 5 stars Bubbles and portal guns! Perfect! Wonderful job! Adding to favorites! What program do you use for that? L.O.L. PLANTS VS. ZOMBIES!! I LOVE THAT GAME!!!! I KNEW I KNEW THAT FROM SOMEWHERE! 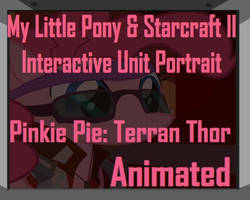 Are you the official animator for my little pony? cause with stuff like this you might as well be. 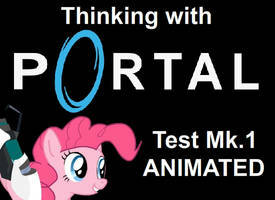 Hey, could you please upload this and MK1 (Prank) on youtube in HD (720)? 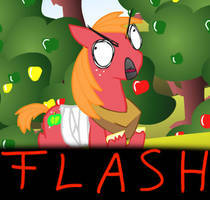 That stupid Derpy xD ~ ha, but she showed that mean mailbox! ahahah this is so cool!